AUG 30, 17 .. SAFE IN MINNESOTA.. If a woman could remember all of her pregnancy, and the birth of her child, and the issues of rearing the child, totally and accurately, there would be more 1 child families. But most, certainly not all because there are indeed 1 child families, do not recall the process with enough force to say to herself, "No I am not going to go through THAT again." If I, your Captain, could remember all of the process that is involved to travel back and forth from Asia to the United States, I might think twice about undertaking another trip. 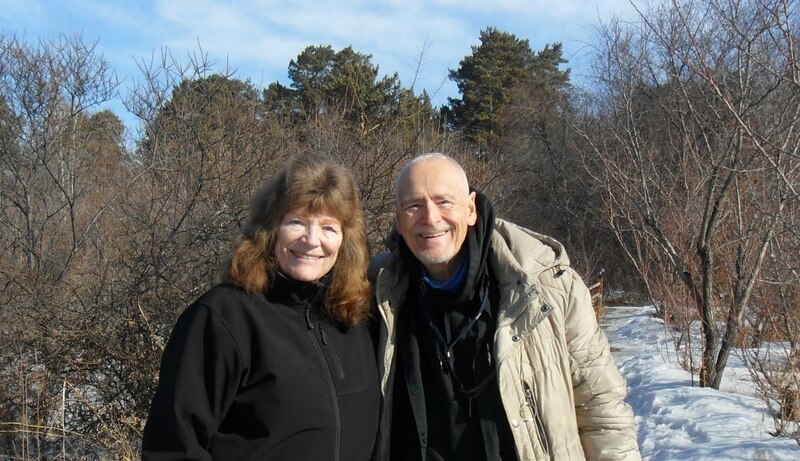 Patti and I are now safely here in Rochester, Minnesota, ready to find out what the doctors at the Mayo Clinic think about my doctor's findings in Ulaanbaatar, Mongolia, about a possible tumor in my left kidney. I successfully made the flight from Hong Kong to Seattle, Washington. Patti and I successfully found one another in the Seattle airport and flew together from Seattle to Minneapolis, Minnesota. Tiger Tom drove our GMC Suburban from Detroit to Minneapolis and we successfully met up at the Minneapolis St Paul airport. We stayed in Motel '6'. And this morning we drove down to Rochester, Minnesota and found our Super 8 Motel here. And I am just about dead-on-my-feet as is Patti from all of her work to get all of the above travel arrangements in place. Now I am not able to sign into my Dot.net website so Google Blogspot is bailing me out. This will be the Big IT for now. As I said, I am one step past total exhaustion. Smiles from Cap and From Patti. AUG 27, 17 .. HONG KONG STORM PAKHAR..
A severe monsoon rain storm or typhoon came through Hong Kong today, Sunday the 27th of August. When I was up at 2:30am the rain had started. By sunrise the city was basically 'shut down'. The storm, named Pakhar, was given a very high Tropical Cyclone Rating of T-8. T-10 is the highest storm rating in this area. Severe Tropical Storm Pakhar wreaked havoc at the airport. 42 Incoming flights were aborted. All bus service was stopped. Residents were told to stay home and avoid going out. I stayed the day at the YMCA but I did venture out about 5pm in the late afternoon when the storm rating was lowered to T-3. My reward was to get absolutely drenched by torrential rains. When I stepped out of the YMCA it was only a heavy mist. Safe for me to take a walk. Within five minutes the skies opened-up and the winds again swept through the city and sheets of rain drenched everyone outside, umbrella or not, the wind made sure we all got very wet. I did enjoy a very nice meal at Dan Ryan's fancy restaurant at Harbor City. "What's that you ask me 'Zilla?" ..
"Why is this Post over here on blogspot?" ..
"I am not able to access Dot.net so it was this or nothing." I won't comment further (my mind is thinking something like THIS IS nothing Captain). I fly to Seattle this upcoming Tuesday (the day after tomorrow). AUG 17, 17 .. FROM ULAANBAATAR, MONGOLIA WITH LOVE.. In all of this wonderful world, the below scene, here in Ulaanbaatar, Mongolia, is easily one of my very favorite views. In these first two photos, you are looking at.. In the left background, you see The Blue Sky Hotel and Tower. In the near foreground, you see the tops of several very historic Mongolian buildings in the Choijin Lama Museum, located in the very heart of downtown Ulaanbaatar. Below I am showing a few photos of each of the above two main features. Exactly like the Taj Mahal in India, every time I get near The Blue Sky Hotel and Tower, it whispers to me..
"Dad! Take my photo." .. "Thank You Dad." "Dad, snap another photo please." Below are a few photos of the tops of the buildings in the Choijin Lama Museum. To attempt to orient you to the next photos below.. The first two photos at the beginning of this Post, were taken facing the Choijin Museum from the right. In these three photos, The Blue Sky Hotel and Tower is behind me and to my left. When I am hungry for a real tuna sandwich at one of my favorite restaurants in all of Ulaanbaatar, where the owner immediately comes over and sits down at my table to visit, and to eat his own lunch.. I head straight for. As I walk to, and return from, Millie's Espresso, I pass the above scenes of The Blue Sky Hotel and Tower and The Choijin Lama Museum. Often I snap a few photos of what I have just shown you above. To enter Millie's, you first enter the below very pleasant Art Gallery and then turn to your right. In the below photo, do you see the lady smiling at me and posing for her photo in the center left? There is no missing her interest and pleasure. Do you suppose we know one another? Looking back towards the entrance at Millie's Espresso. The above lady's back is now facing us. "A tuna sandwich with a nice salad instead of french fries?" Daniel. An owner. A friend. As he sat down at my table to join me.. The first words out of his mouth were. "I thought you were coming back to U.B. last winter." Need I say that we two had a long, very pleasant visit. Daniel then told me that another friend of ours from Switzerland, also a senior citizen, himself had a hip replacement recently. We got him on the phone and his was arthritis relief motivated. I hope to see him before I leave Ulaanbaatar on the 24th of August. There sure is a lot of joy in this world isn't there? "Captain?" .. "Yes?" .. "You manufacture joy Captain." .. "Thanks For That Gift My Mind." Oh yes Patti was on the phone with us several times. In November 2015, Gullible and Patti and I visited Ulaanbaatar together. Gullible, who had never been here kept saying to me..
"Cap! Trip Advisor highly recommends a restaurant here in Ulaanbaatar called Millie's. I would like us to go there Cap." We never went to Millie's back in November of 2015. For one thing, we were swamped with things to do that stood in our way. For another thing, I, the driver of our bus, had never ever heard of Millie's, had no idea of where Millie's might be let alone how to get to Millie's and did not have a clue as to what in the heck Trip Advisor was. I did not have / nor could I take the time to research this Millie's issue. Out of my deep respect for Gullible, when four months later, I returned back to Ulaanbaatar in March of 2016, I educated myself about Trip Advisor and I found Millie's. Both, Trip Advisor and Millie's have become part-of-my-life. Thank You Gullible for these gifts. "Captain? What is the odd looking word that you just wrote above and in the title?" Oh yes Sports fans. This is an entirely, new-to-all-of-us, yet amazing attraction here in.. The Village of IVOLGINSK.. located in the.. THE REPUBLIC OF BURYATIA.. located in.. The Southern part of Eastern Siberia.. located in.. "Changer?" .. "Where are you when I need you to sound out this word IVOLGINSKY for us?" OK. Datsan in the above title does NOT refer to a Japanese Automobile. As used in the Republic of Buryatia, in Buryat Buddhism, the terms DATSAN and BUDDHIST MONASTERY are interchangeable. The IVOLGINSKY DATSAN simply means the Buddhist Monastery located in the Village of Ivolginsk. Google Maps show this location as Ivolginsk. Wikipedia says that the monastery is located in the Village of Verkhnyaya Ivolga. Whether you want to use the word Ivolginsk or the words Verkhnyaya Ivolga to describe the physical location of the monastery, it is located 23km South of the City of Ulan-Ude. Rhetorical Statement : I am working longer hours and spending more time on this series of Russian Siberia Posts than I did when I was working as a Civil Engineer. This, my six hundred and twenty second (622) Post on blogspot, will perhaps stand as the first, only, and maybe the last ever Post of yours truly to be considered as possibly a 'Gullible Class' effort. I did NOT say it is. I merely said that maybe it might be in the eyes of some. En route North from the Mongolian / Russian Border to Ulan-Ude on Wednesday, August the 2nd, Saina and Deegi pulled off the main highway and drove into a small village to meet-up-with some friends. That was all. No big deal. "Cap we are going to stop here for just a few minutes to visit some friends." Unfortunately / or Fortunately, you make-the-call, I Your Captain, 'looked around'. I saw what I saw, and much to the dismay of Deegi, who had us on a tight-time-schedule to get to Ulan-Ude to meet Sergey, off I went to have a much closer 'look-see' at what I saw when I casually 'looked around' at our surroundings. Driving North on the highway to Ulan-Ude, when we approached the below structure, we exited the highway. I thought to myself as I looked at the structure in these photos..
"How odd. It looks like we are in China." Little did I know : "Captain .. You haven't seen anything yet." "How did we go from being on the road to Ulan-Ude in Russian Siberia to entering the outskirts of Beijing China?" Walking fast, I took off to see more closely what I saw from a distance. "Cap!" .. cried out Deegi as I was rapidly disappearing .. "Cap come back! We have to meet Sergey in Ulan-Ude and we don't have time to stop here Cap!" Your Captain thought .. "This is a once-in-a-lifetime opportunity Deegi." To quote Patti : "Nanook used to think.. If I don't look back and see Patti then she can't see me." I did NOT look back at Deegi! Deegi was thinking.. "Gee. I thought he had a recently surgically repaired left hip. Just look at him go!" I wish I could have done better photographing the below orientation map, but I did the best I could. It was just too large to capture in one photo. I was 'on-a-tear'. I felt time-pressure from Deegi and I sure wanted to shoot all the photos I could shoot. There were guides showing groups around. I overheard one say about these buildings, "The Buddhist monks sleep in this area." I may die and never know if I 'crashed-the-entry-gate' without paying an entry fee. The below photos are pretty much in the order that I snapped them. Again, I was on-the-run and I was running. Notice that this temple is primarily white-in-color. "Gee Dad. Thank You Dad for photographing me. NO ONE ever takes my photo Dad." Below are photos of two, small gift shops, located near the entrance into the monastery. I will close with these two thoughts. But I KNOW that what I saw was very special. With Love and With Respect to..